On February 26th, the Oscars will take over Hollywood -- not to mention the TV screens of cinephiles around the globe. This year there's a bumper crop of exquisite soundtracks and enjoyable tunes to discover, so we're shining a spotlight (get it?) on what sets our hearts aflutter about the nominees in both the Best Original Score and Best Original Song categories. The immensely-talented Mica Levi first got on our radar via her Micachu & the Shapes project, but her work as a film composer is equally vital. 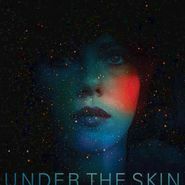 Her first foray into scores was 2014's highly-acclaimed work on Under the Skin. If you've seen this year's brilliantly heady sci-fi thriller Under the Skin, you know that a huge part of the film's capitvating power owes to its visceral soundtrack. The newly repoened Regent Theatre in Downtown L.A. will host a screening of the film Jan. 6 with a live performance of the score by a 25-piece orchestra directed by the film's composer, Mica Levi (also of British noisemakers Micachu & the Shapes). There are two screenings of the film with its live soundtrack, at 7:30 p.m. and 11 p.m. Tickets start at $25, and they're on sale now. The screenings are co-presented by Wordless Music and Spaceland Productions. The film, directed by Jonathan Glazer, stars Scarlett Johansson as an alien given human form who lures men to their doom yet slowly becomes more human as she exists in our world. Based on a novel by Michel Faber, the film has received generous acclaim, as has its soundtrack. The classically trained Levi's haunting score perfectly vibes with the film's body horror and pyschological undertones. The soundtrack is available now on LP and CD via Milan, while MIcachu & the Shapes have two albums out on Rough Trade, Never and Jewellry, plus the live album Chopped & Screwed. The film is also available on DVD and Blu-ray. Also, check out our new "What's In My Bag?" episode with the author, Michel Faber!